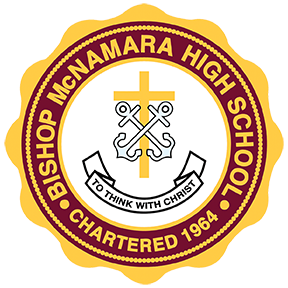 The #StepUpOurGame Giving Campaign gives Bishop McNamara alumni, families, and fans a chance to directly impact all our athletics programs by raising funds for a weight room, locker rooms, and other needs for Bishop McNamara Athletics. Every gift made to the #StepUpOurGame Giving Campaign contributes to the formation and development of Bishop McNamara student-athletes through providing them with the best facilities and equipment necessary for athletics success. #StepUpOurGame Giving Campaign provides several special recognition opportunities for generous supporters of BMHS Athletics including the main gymnasium, perhaps the most used space on campus, as well as our locker rooms and weight room to benefit coaches and student-athletes today and better recruit those for years to come. Please see below these special recognition opportunities possible through the #StepUpOurGame Giving Campaign! Please know that our scholar-athletes are not recipients of the donations, and funds are not earmarked for a specific scholar-athlete's use. All gifts made to the #StepUpOurGame Giving Campaign are tax-deductible and they go to Bishop McNamara High School and the Athletics Department. Your gift to the #StepUpOurGame will make a lasting difference in the lives of our student-athletes and for the future success of Bishop McNamara Athletics. Please give!